Many of Google’s HQ employees in Mountain View, Silicon Valley, California fit the creatives vibe. So it’s encouraging, though probably not surprising, that the company is prompting the City to invest in sustainable development and a vibrant community in the area surrounding its campus. In other words, Google is looking out for its employees beyond the workplace, and it’s not only smart, it’s a sign of the times. Goodbye office park, hello urban village. 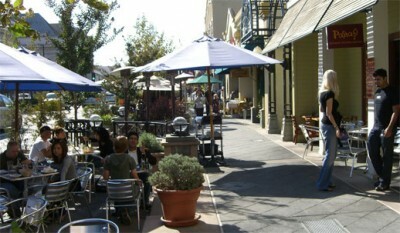 The good news is they don’t have to look far regarding models for urban living, where Mountain View’s Castro Street (pictured) in the downtown is well known for being an urban design, social and retail success, and San Francisco is just several miles to the North.